has been named as CEO of VCCP, AdNews can reveal. It is the first time the agency has had a local CEO and VCCP's former MD Pete Grenfell stepped down earlier this year to return to the UK. At the same time David Kennedy-Cosgrove was promoted to managing director and the agency appointed Gary Dawson as executive creative director. 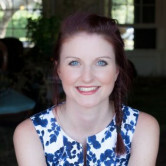 Holt, who spent four years as MD of Clemenger in Wellington before joining Clems Sydney, joins VCCP this week. VCCP is small shop in Australia having opened in 2012, but it has a mighty global footprint. Its London office has over 600 people. It is part of the Chime Communications group and this year it bought US independent Muhtayzik Hoffer as part of a push to grow the global footprint further and become a kind of “micro-network” of independents that provides a genuine alternative to the larger global networks. The agency is preparing a move to the Guardian Building in Sydney's Surry Hills to accommodate its expansion. Earlier this year the agency rebranded itself and clarified its position as a challenger agency for challenger brands. Founder Charles Vallance told AdNews at the time that VCCP needs to be more vocal in this market and bring a bit more “swagger”. “We can’t hide our light under a bushel,” he told AdNews. VCCP has picked up a number of new business wins this year including Hipages and Purple Bricks. It also works for brands including Fitness First, ING and Comparethemarket.com.au. 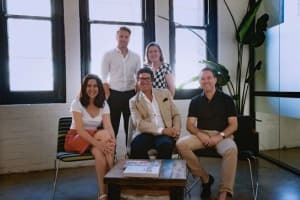 Andrew Holt, former Clemenger BBDO Sydney MD, has been named as CEO of VCCP, AdNews can reveal.